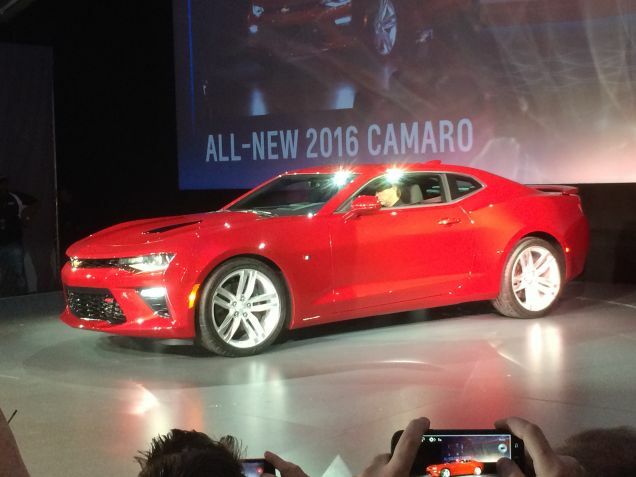 The 2016 Camaro design was revealed this weekend at Belle Isle in Detroit, MI and the reviews are mostly against the “new” look. It seems the major difference is slightly smaller windows, but – let’s be honest – did they need to be any smaller? Most people reviewing the car (read: people that don’t own nor drive one but are rife with opinions) are against the smaller windows, which kind of makes sense. Can you say blindspot?! According to a document gained by Jalopnik, this new Camaro is the most fuel efficient vehicle at almost 30 MPG. Read more facts and specs about this “new” design here. What are your thoughts on the “redesign?” Do you like the streamlined 2016 model or the 2015 design? Let us know! This entry was posted in GM and tagged camaro, chevy. Bookmark the permalink.